Move over burger, it’s time for a new kid on the block – the hotdog. Now, a few months ago I never could have imagined myself thinking that, let alone broadcasting it to the world. I was all about the burger – a juicy patty covered in some sort of delicious cheese and crunchy pickles and the bun, oh the bun. When Bubbledogs opened last year I had no interest in visiting and I still haven’t. I’m not a fan of bubbles and the word hot dog just didn’t appeal to me as it evoked memories of cheap plastic sausages in an anaemic bun. No thanks. 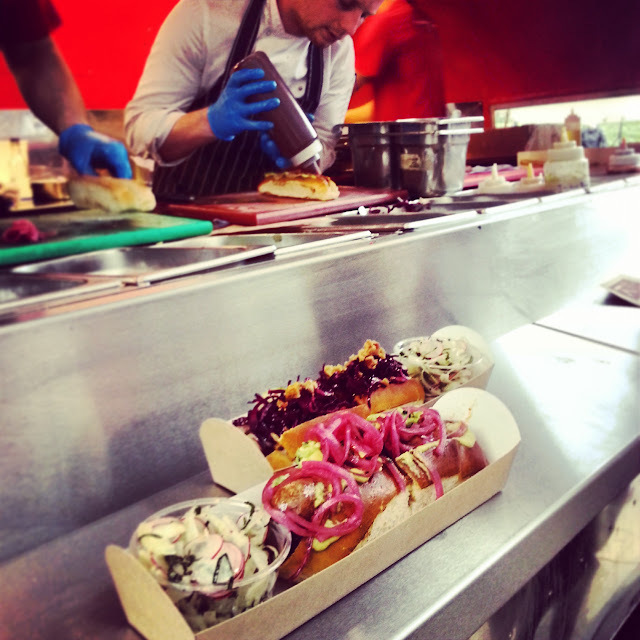 It wasn’t until the team behind the iconic Sebright Arms relaunched The Miller in Bermondsey and I was invited to the launch of the new hot dog menu by none other than Street Kitchen that I decided, actually, hot dogs are pretty damn tasty – if they’re done well, of course. The hot dog menu at The Miller has been devised specially for the re-launch and features gourmet ingredients sourced directly from UK farms and a selection of seasonal salads, sides and slaws. 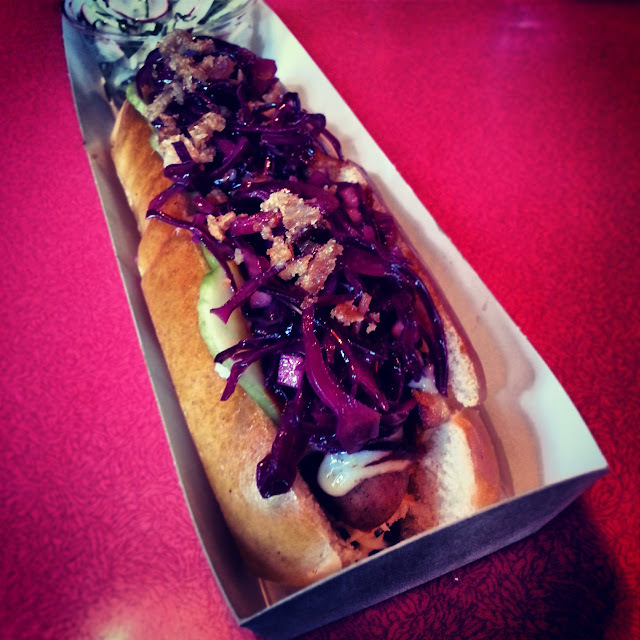 There were three dogs on the menu when we visited – each special in its own right but my favourite by far was the Boston Hound, a free range smoked pork sausage with slow braised pork belly, red cabbage slaw, celeriac remoulade and barbecue sauce. If you’re a hot daaawy fan, get yourself down to The Miller, quick sharp.